The National Cycling Participation Survey has been conducted for the past 2 years and provides Australians with a snapshot of the level of cycling being undertaken across each state. The 2013 statistics show that approximately 734,000 people ride a bike each week in Queensland alone, and around 1.5 million people ride at least once in a typical year. 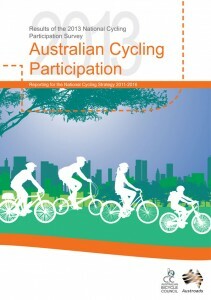 This suggests that 17% of Queensland residents ride a bike in a typical week and 35.4% in a typical year. However participation has shown to be much greater in males than in females, with 22.4% of males riding in a typical week compared to 11.7% of females. The yearly participation rate in Queensland has also largely decreased and is primarily attributable to a decrease in participation in Brisbane! Come on guys! All the ladies out there in Queensland, jump on your bikes and get that percentage rising. As for all of you Brissy goers, keep up the good work and encourage more of your friends and family to get on their bikes so that we can have more people riding and enjoying our beautiful city.